St. Patrick’s Day, or the Feast of Saint Patrick, is held on March 17 each year, on the death date of its namesake. Patrick was a priest that spent his life working to convert Irish pagans to Christianity. Wearing green is attributed to Patrick, as he used the three-leaf shamrock to explain the Holy Trinity to the pagans. Because it’s also a day where Lent restrictions are lifted for some Christians, it’s also become a big drinking and feasting holiday. This year, it falls on a Saturday—and it’s also National Corned Beef and Cabbage Day. 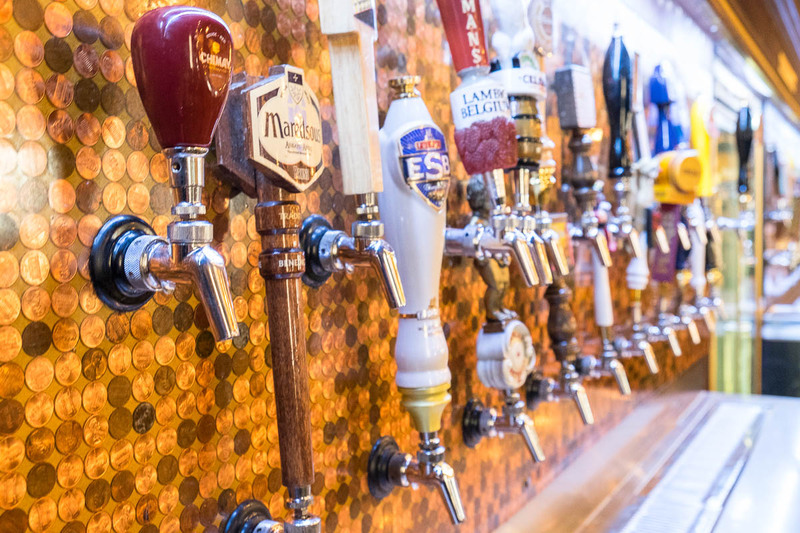 Restaurants and bars all across the city are offering food and drink specials. 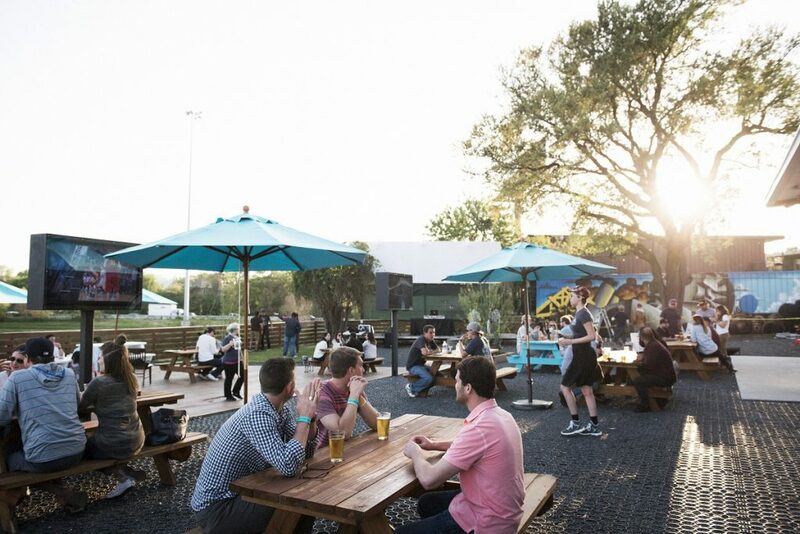 Here’s a list of some of the best offerings in Houston. Bull and Bear Tavern, 11980 Westheimer: This Westchase tavern has specials on plenty of Irish fare including Irish Stew, a hamburger featuring Irish bacon and cheese, and Guinness Fish and Chips. There are also drink specials and live music from Irish band Murder the Stout. Flying Saucer, multiple locations: The bar famous for having over 200 beers on tap is also famous for not serving green beer on Paddy’s Day. This year, the focus is instead on a flight featuring three Jameson whiskeys. While details haven’t been announced yet, expect at least one Jameson Caskmates option in the flight. The Goose’s Acre, 21 Waterway, The Woodlands: It doesn’t get more authentic than this bar that was literally moved from Ireland to The Woodlands in the mid-2000’s. Paddy’s Day specials include traditional Irish fare, green beer, Irish dancers, bagpipers and live music. The Gorgeous Gael, 5555 Morningside: Those who subscribe to the “it’s not day drinking if you don’t start in the morning” philosophy will be right at home at The Gorgeous Gael. Irish breakfast starts at 8 a.m. and the green beer will flow until closing time. Hopdoddy, multiple locations: Hopdoddy has crafted the O’Doddy Burger with seasoned Angus Brisket, sharp white cheddar and Irish mayo. The burger is also topped with Bubble & Squeak Slaw: a classic potato, onion and cabbage slaw seasoned with lemon, horseradish, mustard and spices. Hopdoddy will serve the O’Doddy Burger until March 28. Kenny & Ziggy’s, multiple locations: The New York Deli might not come to mind for Paddy’s Day drinking, but its Corned Beef isn’t to be missed. Kenny & Ziggy’s is offering its Corned Beef & Cabbage dinner (which includes two sides and a house salad) and a bottle of beer for $17.99 (normally $22.95 not including beer.) The special is only available on Thursday, March 15th from 6 p.m. to closing and is a salute to the Irish-Jewish founded Yiddish Sons of Erin. Milano Bar, 800 Sorella: The bar at Radio Milano is hosting a three-course dinner featuring Irish whiskey pairings on Friday, March 16. Guests will also be treated to screenings of Boondock Saints I and II. Dinner is $30 per person or $50 with the optional pairings. Ouisie’s Table, 3939 San Felipe: The festivities begin at 10 a.m. with a plate of Corned Beef & Cabbage. The cost is $20 and includes beer. Brunch runs until 2 p.m.
Raven Tower, 310 North: Raven Tower is serving two locally made Irish Red Ales: 11 Below Brewery’s Dublin Me Luck and Texas Beer Refinery’s Redneck Red. Both are being served on draft for $4. (Irish Red ales use kilned (not roasted) malts and commonly taste of toffee, butter and caramel.) 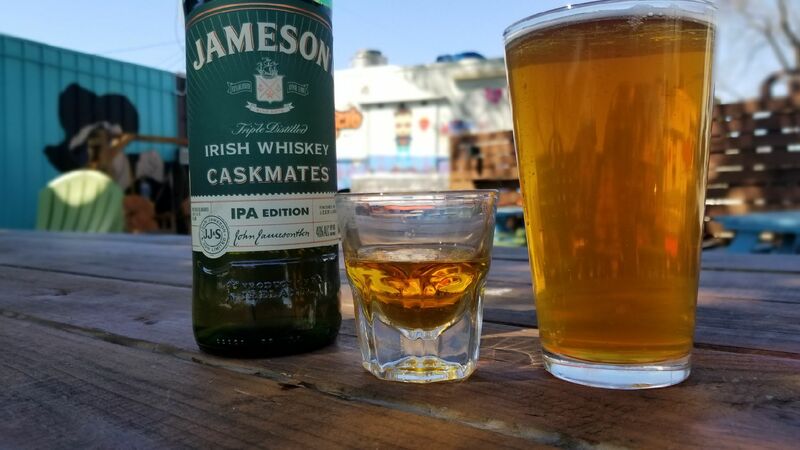 Jameson Caskmates IPA Edition is also on special for $4 a shot with the purchase of any draft beer. The Steak and Whiskey Event at Smith & Wollensky’s is the best of both worlds. Photo courtesy of Smith & Wollensky’s. 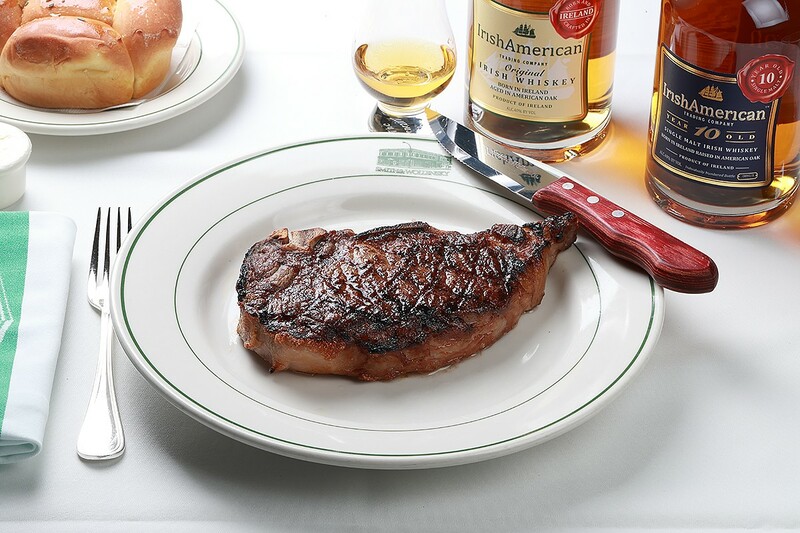 Smith & Wollensky, 4007 Westheimer: The annual Steak & Whiskey Event is running now through March 18th. IrishAmerican Whiskey-inspired cocktails and a USDA Prime 30-Day Whiskey-Aged New York Cut Sirloin are the main focus. There is also an IrishAmerican whiskey flight, featuring both the Classic and 10yr selections for $18. Wherever you choose to celebrate St. Patrick’s Day (or Paddy’s Day), be sure to use the traditional Gaelic toast Sláinte mhaith which means “good health”.